Back in January, Yokohama Tire Corp. hired Jeff Barna as chief operating officer. In his new role, Barna is responsible for sales, marketing and product planning, and will be on YTC’s executive committee. Below, Barna talks about what it’s been like in his new role as well as his thoughts on the tire market. You’ve been with Yokohama since January. What are some of your main observations regarding the company and its strengths? Barna: Yokohama’s a historic company – we’re celebrating our 100-year anniversary, indicative of a tremendous foundation of products and people. You don’t stay in business 100 years without having an adaptive ability to adjust to changing environments and changing times. I’m impressed by that. Yokohama’s an iconic brand that’s built a reputation of trust and reliability over the years. What are some of your major goals for Yokohama? What’s been the reaction from dealers since you came on board? Yokohama’s launched several new tires in all categories, including the highly anticipated GEOLANDAR M/T G003 mud terrain tire. Which segment presents the best opportunities for YTC? Will Yokohama debut more tires this year and 2018? What industry trends do you see and how has the rise in raw material prices affected your strategy? 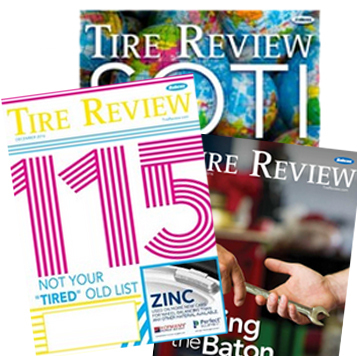 What challenges do you see facing the U.S. tire industry? How is the Alliance Tire Group being integrated within Yokohama? From shock absorbers to car batteries, you have a lot of aftermarket sales and management experience. How will that help you with Yokohama sales, marketing and product planning? Yokohama’s branching out in nontraditional sport sponsorships, such as U.S. Youth Soccer, Nitro Circus and Spartan Races. What’s the thought behind these sponsorships? What’s the latest news on your new R&D Center in North Carolina? How has Yokohama Tire Manufacturing Mississippi (YTMM) been progressing? Sounds like you’re excited about Yokohama’s future in the U.S.